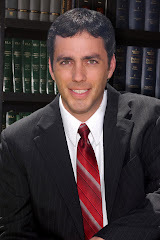 Greg Ryan & Associates, Attorneys at Law, LLLC: Child Support - Too high, too low, or just right? Child Support - Too high, too low, or just right? Regarding child support, I usually get the same complaints from the same people: the parent paying child support ("payor") usually complains that the amount of support is too high. The payor often argues that he/she can't afford the required amount because of other bills and financial obligations. On the other hand, the parent receiving the support usually complains that the amount is too low, often arguing that the support does not cover all of the child's or children's needs. As you might or might not know, the amount of child support the payor must pay is not determined by the particular payor's ability to pay, or even by the particular child's or children's actual needs. Instead, the payor's child support obligation is determined by the Hawaii Child Support Guidelines - a state formula which calculates the payor's child support obligation based on general principles that apply to all parents. The formula considers the following: (1) each parent's gross income, meaning before taxes and other deductions; (2) actual monthly day care expenses, if any; and (3) the monthly premiums for the child's/children's health insurance. Except in unusual circumstances, that's it. The formula considers these figures and calculates the payor's child support obligation. Once determined, the payor's obligation is fixed and, except in limited cases, cannot be modified by the Family Court. Accordingly, the Family Court is required to order the payor to pay the calculated amount, regardless of the payor's actual and demonstrated ability to pay, or the receiving parent's actual needs. Thus, even if the payor can prove that he/she cannot afford to pay the calculated amount, or even if the receiving parent can document the need for additional support, the Family Court cannot increase or reduce the calculated amount, except in rare circumstances which don't apply to most parents. Payors who do not pay the calculated amount can be sanctioned by the Family Court, and are additionally subject to administrative sanctions imposed by the Child Support Enforcement Agency, including the suspension of the payor's driver's license and passport, etc. The CSEA can also take steps to involuntarily collect child support, including wage garnishments and the interception of the payor's income tax refunds. If you have experience either as the payor or receiving parent, please feel free to weigh in on this topic. Is the child support amount set by the Hawaii Child Support Guidelines too high, too low, or the appropriate amount? I think child support is way too low. It doesn't take into account the high cost of living in Hawaii. And half the time the father doesn't pay anyway so what's the point??? If fathers would be more responsible (aka not "deadbeat dads") then it'd be easier for good mothers to raise there kids. Too low? Get a job and then you don't need child support. I don't think a blanket "too high" or "too low" can be given to this subject. For some it is one, and vice versa. I think that the state needs to revamp their calculator and take those things into consideration that they currently aren't. Why should a father have to pay exorbitant amounts of child support just because he makes more money? High amounts of child support can be a real burden to those that have home mortgages, credit card bills, travel expenses, etc.